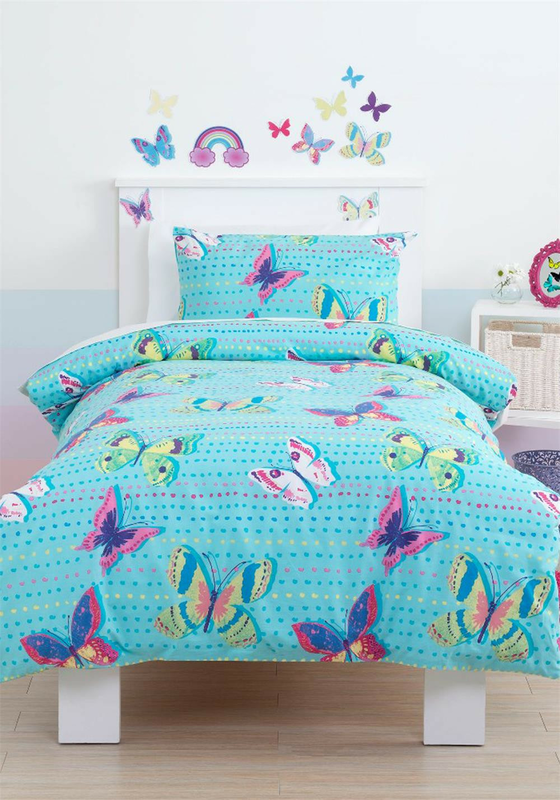 You will have no problems getting her off to bed with this beautiful Rainbow Butterfly duvet set from Just Kidding. 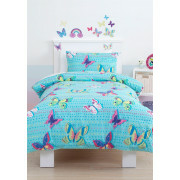 A mix of bright colours that features a range of dancing butterflies across an aqua base colour. This set includes the pillowcase(s).